I can't say enough good things about the SockGuy brand socks. I just love them and I am proud to be part of #teamsockguy. I'm not sure how many pairs of socks I have in my dresser drawer, but I will admit that there are a lot. My tastes on sock styles have changed from ankle to tall, and I'm always able to find at least one pair of socks when Travis places an order for the store. 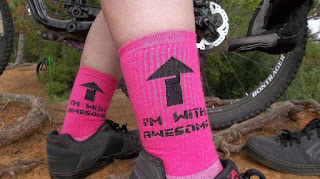 I feel socks are a fun and simple way to bring some flair to any outfit- be cycling or just everyday. Plus, the socks have all been super comfy- you have the option of getting wool ones, too! 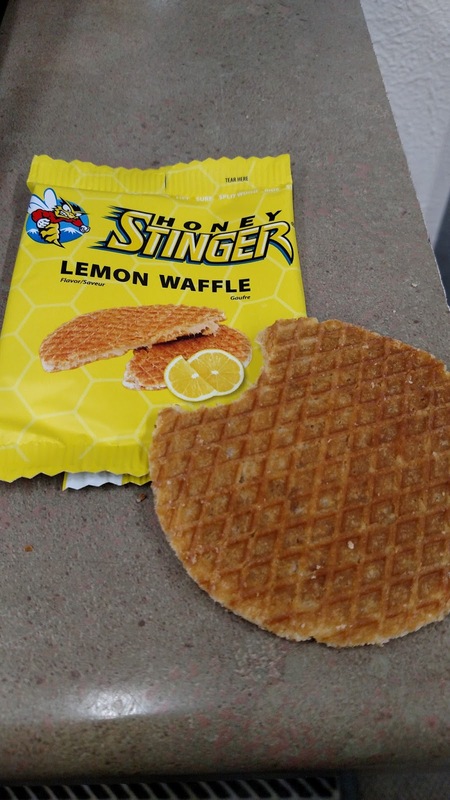 I had a hankering to try the Honey Stinger waffle, so Travis brought a couple flavors into the shop. I fell in love. I always hate when the late afternoon snack cravings hit and there isn't anything I really want to eat. Clif Bars used to be a go-to, but I hated how much effort they took to eat, especially on bike rides. Plus, it was usually more food than I wanted to take in. The Waffles are easy to eat, perhaps too easy, and not heavy. My hunger is kept at bay and I'm not feeling overly full when supper time hits. 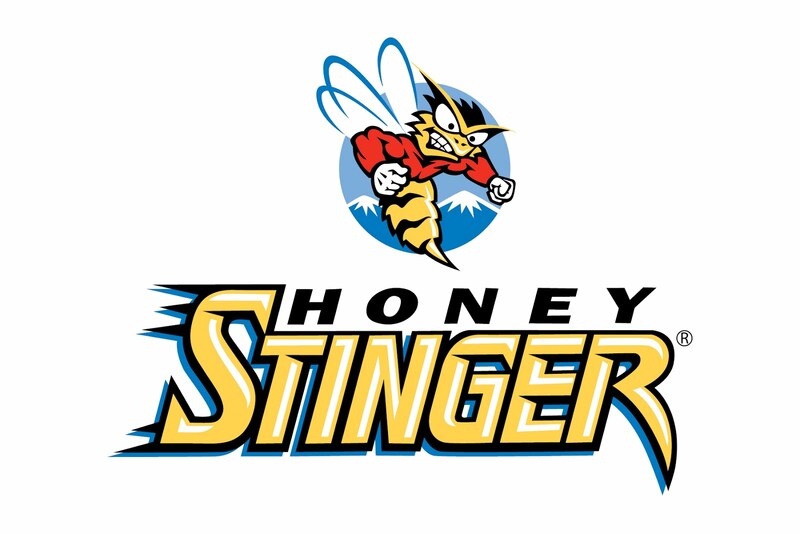 The flavors of Honey Stinger Waffles I've had: Caramel, Honey, Lemon, and Gingersnap. I honestly can say I love them all! I am stoked to be part of the ESI family for the 2017 riding season! Especially after discovering the comfort of their Extra Chunky grips. During the busy season I helped with a lot of bike assembly, bike detailing, taking bikes off of stands/displays, and a lot of off-road riding. With that I found my hands were fatiguing very easily. 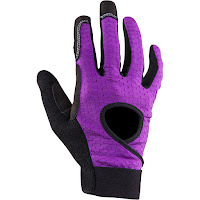 I have chronic/ongoing repetitive motion stress issues with my hands, wrists, arms/shoulders- when I have flareups I found it difficult for me to comfortably maintain my grip on my bike. 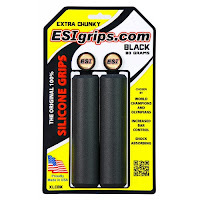 I was using the standard ESI Chunky grips, but I felt like it wasn't enough for my hands. I struggled to find gloves with padding that worked for me as well. 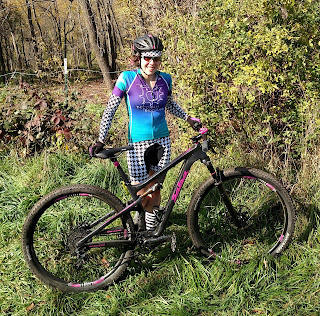 Riding became a source of frustration due to being uncomfortable, and I had a 40 mile event to prepare for! The Extra Chunky grips were lifesavers and now my go-to grip for all of my bikes. 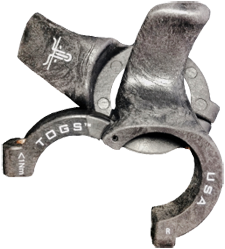 The only downside I've found is my right grip wears more than my left (active hand, shifting with a 1-by drivetrain, etc.) but I have found that I haven't destroyed a pair of grips with my frequency of riding yet. You can also rotate them to extend their life if you are so inclined. This is my most favorite lip balm, sparkles combined with a pretty pink shade and SPF 10 make this my go-to for 3 seasons of riding. My only downfall is not ordering enough sticks to let me have one for every Camelbak! It goes on smooth and it just makes me feel pretty- I'm not a "girly girl" but I do love me some sparkle lip balm, especially a kind that doesn't get sparkles ALL over my face. The flavor of the balm is subtle- a hint of vanilla and it's not artificial tasting. In the winter months I also like using their Winter Stick. I'm awful at using a balaclava, so this helps me keep my nose and cheeks protected. They make a wide variety of wonderful products for you to choose from- healing salves to lotion, and much more! 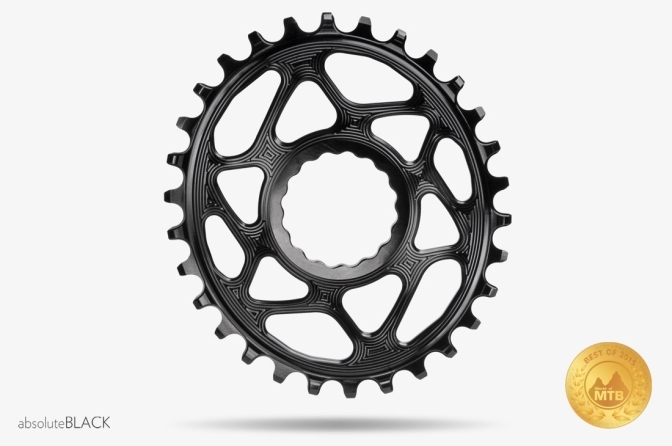 I'm not going to get all "spec-y" when it comes to components, but I will say that I have noticed a difference with pedaling efficiency with the oval style chainring. Smooth & fluid. I've gone oval on most of my dry-season bikes and have found that (for me) it does feel more like I'm clipped in even when I'm on flats. I can't wait to try an oval out on Snow Queen (my fatbike) for this winter! 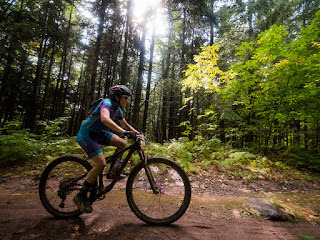 Since using an oval, climbing up our hills is more effective and overall the pedaling movement itself feels more natural. I love that I do not have to clip in for that feeling! I didn't notice anything strange or different when I first switched- I got on and rode like I had been riding an oval for years. I'm very happy with the change and feel they are a great asset to my cycling! 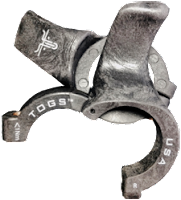 I am pleased to announce I have joined the TOGS family as an ambassador; their product provided me with support and comfort for long rides last year and will for many years to come! When you first see them you think "Really?" I will say, yes, really. I will admit it did take a few tries to figure out how exactly I wanted the TOGS to be placed. 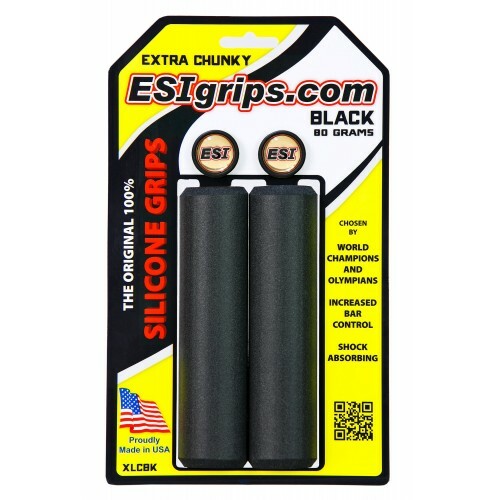 I've just learned of custom grips from ESI that work especially well with the TOGS setup (especially if you have smaller hands, they are supposed to work great!) I will be able to give an opinion on that next season! With my hand fatigue/discomfort issues, having multiple placements for me to put them is very beneficial. I did not want to put actual bar ends on my off-road bike that I use for racing, nor did I want to put them on the Cali for gravel riding. We have a friend who uses TOGS, so Travis thought it might be worth my while to give them a shot. Once I found the placement I liked, I found that I went there several times during my mountain bike rides along with my gravel rides. I actually liked using them when I was climbing, too! It felt like it gave me better control and I appreciated the additional hand placement options for my long rides. 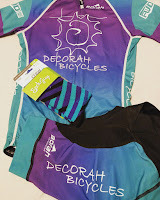 When I want to feel like a complete badass, I will wear my Decorah Bicycles/FWD Borah Teamwear kit or jerseys. 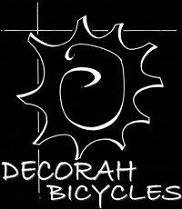 Thanks to the kind folks at Borah I was able to represent Decorah Bicycles and FWD at Chequamegon! I have since invested in a long sleeved jersey and matching shorts. The long sleeved jersey is quite nice and the fabric isn't too thin- I feel it's a legitimate cooler weather jersey with excellent layering potential. The shorts with the yoga band took a little getting used to, my problem is I have a short torso and the band area took several adjustments to be comfortable. I'm picky, but once I found where it worked best, I was able to comfortably do a 10 mile trainer ride without a thought. The chamois is very comfortable and I didn't feel pressure or hot spots during the trial. I'm excited to wear these with the jersey next year for a couple of my bigger-ticket events! 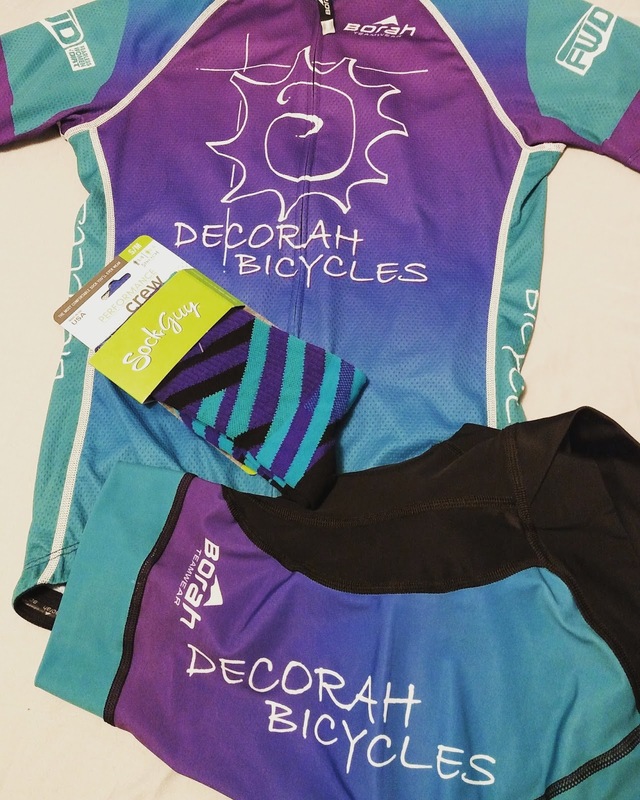 Borah has been an excellent company to work with, and Decorah Bicycles will have a size run of the long sleeved jerseys and men's and women's short sleeved Team cut jerseys soon! 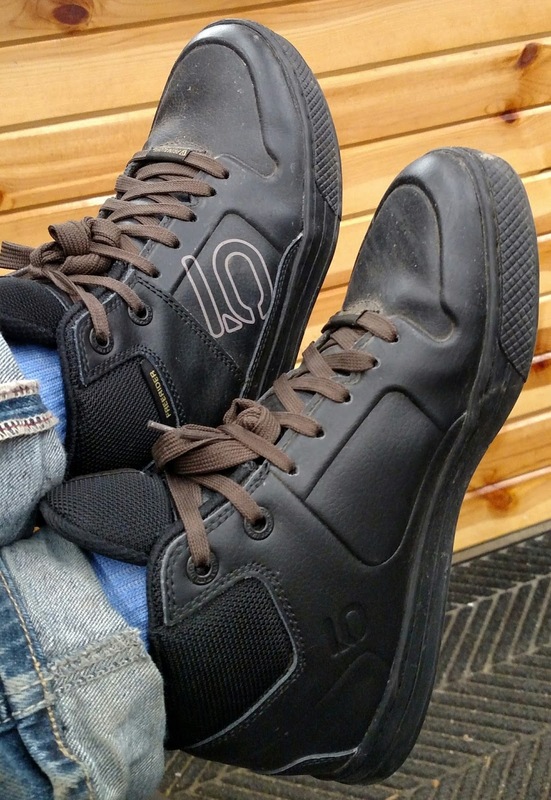 I loved the Five Ten Freeriders, but once I got a pair of the Contacts I found my favorite riding shoe to date. 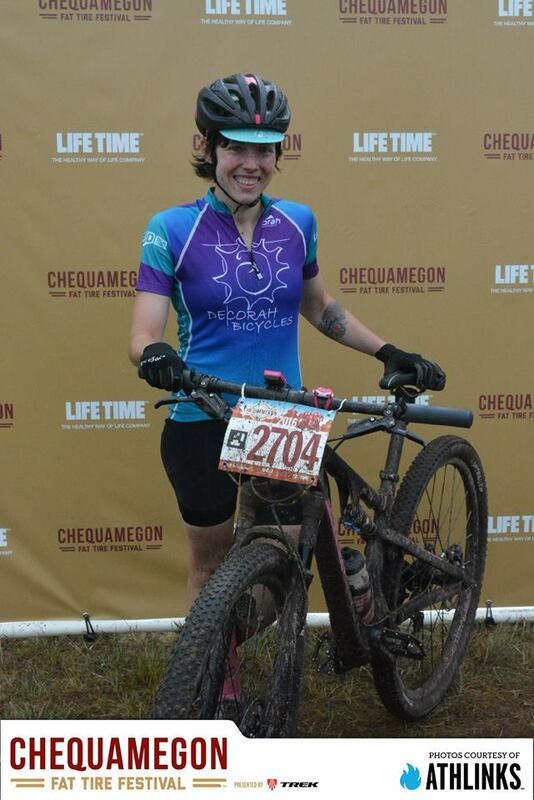 I wore the Contacts during Chequamegon 40 and wear them during almost all of my dry-season rides. The soles are stiffer than the Freeriders (IMO) and I like the smooth patch on the bottom vs. the honeycomb style. I feel I can really attach my feet to the pedal pins which gives me confidence when riding. 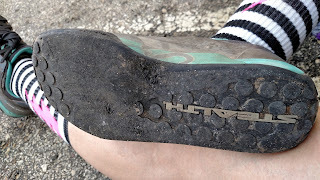 They are a durable shoe with a more plastic-type outer shell, which I feel is helpful for wet conditions. Do note that they are not water proof and after the Decorah Time Trials, I worked to dry them out for about 3 days! The bottoms of my Contacts are definitely showing wear after a season+ of regular usage, but they are still very much usable. The EPS High shoes have been fabulous, tho they are not going to be the go-to winter shoe for me when temps are below 40 degrees. I will wear legit snow boots for my snow riding. However, they have proven to be a great option for me on the fall days where my Contact shoes would've left my feet very chilly. Water resistant and touting Primaloft insulation, these have become my go-to shoes for temps between 50-40 and my current shoe for winter commuting purposes. They feel like a mix between the Contact and Freerider shoes- same bottom as the Freerider, but stiffer like the Contact. I like the support and lack of foot flex, Travis tho would rather feel the pedals more. It all depends what you like- I've worn them daily for almost a month and they still maintain their integrity. I've been part of the Shebeest family for awhile and when they came out with their new bib design I was intrigued. The Petunia bib is special in that it is created without any seams. A very comfortable and fluid bib short. I wasn't entirely sure if I could pull off such a bold pattern, however, by the end of the season I found that Houndstooth became my "spirit animal." It took me a bit to get used to wearing bibs as I'm very much a shorts person (still am!) but after having it on and riding for a bit, I forgot I was wearing it. To go to the bathroom, it's easy enough, but I'm still one that finds the ease of just "dropping to go" much more up my alley. I found a new love of cycling caps after I had to switch helmets for my long rides. A Starvos MIPS road helmet became my go-to, but I missed the sun protection of a visor. A cute houndstooth cycling cap was the ticket- and I loved that it had some reflective detailing on the bill! The sun sleeves were also used far more than I thought- light enough yet warm enough to use on days when it was just a touch chilly due to lack of sun. I make sure to wear sunscreen, but on long road/gravel rides having extra coverage is never a bad thing. 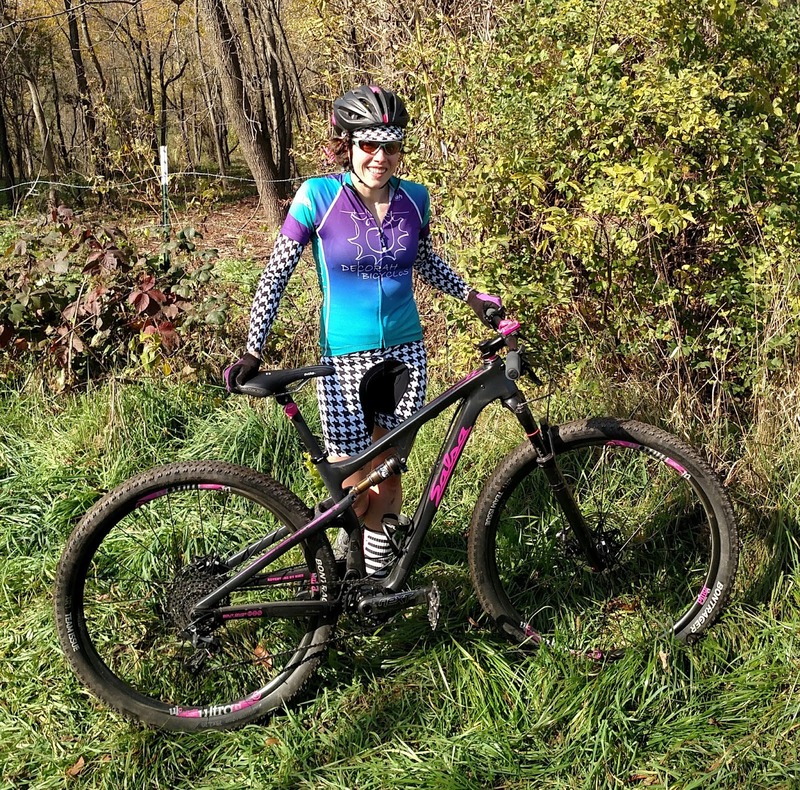 Plus, pairing them together with the bibs and cap equaled a totally rad kit for the PertNear 20! I had guys complimenting my attire! I have not worn this jacket a whole lot yet, but I'm very excited to put it through the paces of winter riding! I've had a few jackets I've worn for the winter months, and use my Outdoor Research Aria Hoodie a lot- but it's not really waterproof or wind proof. 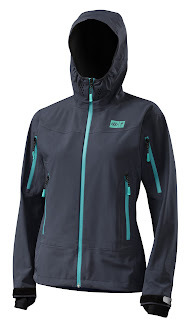 This jacket doesn't have bulk, has a lot of zippers for ventilation, and has water resistant properties along with being windproof. It has a powder skit to help keep snow from getting up your backside and it's a jacket that has the flexibility to go around the wrist section of some darn thick gloves! I have hated struggling with getting a sleeve over the wrist portion of my thick winter gloves- this was a huge high point for me! There are a lot of other great features with this jacket: reflective details, adjustable sleeve gussets, and an adjustable hood to name a few. I thought I needed gloves with padding, well, I was wrong. With the ESI grips, both the DIY and Khyber gloves from RaceFace have been some of the most comfortable I've worn. The DIY I save for spring/fall months when temps are on the cooler side. 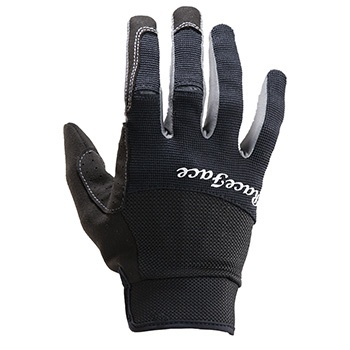 The Khyber gloves are worn a lot during the warmer months. Style points! 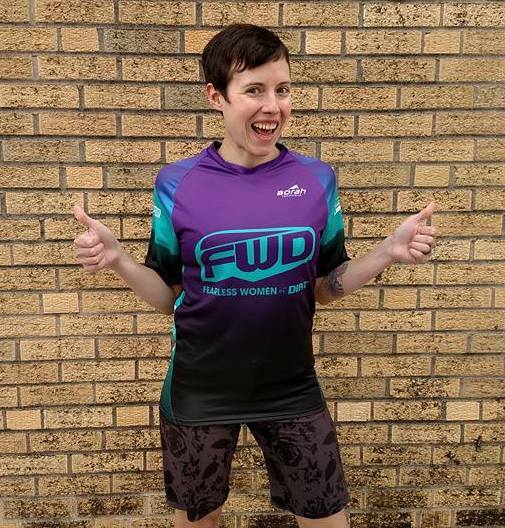 The purple goes amazingly well with the Borah Decorah Bicycles/FWD jersey! Both allow you to use a cellphone (swiping) and keep me protected from any off-road mishaps. The only thing I've worn off is some of the Race Face gripper section on the Khyber gloves- otherwise for almost daily usage of both for a season+ they have withstood my riding with flying colors. My personal favorite at this point is the Fire Hydrant blend. 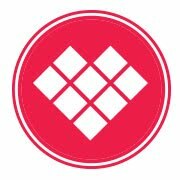 Northweast, they are a small company who is rapidly growing their family of ambassadors and coffee lovers. 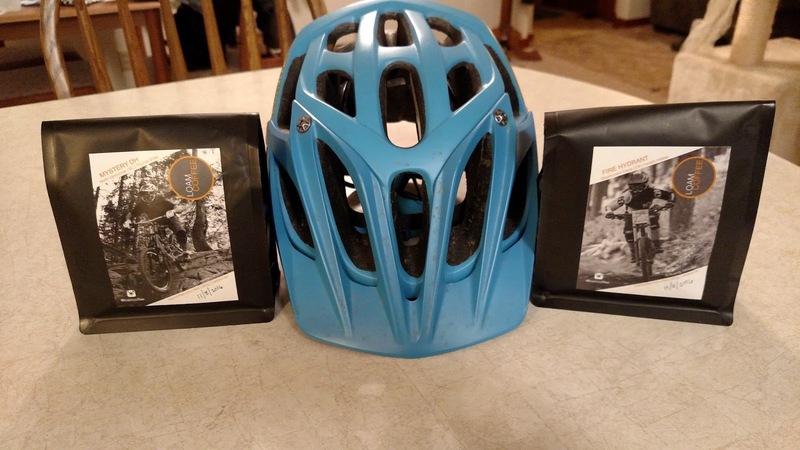 Combining two of my favorite things- biking and coffee, I had to give it a try! 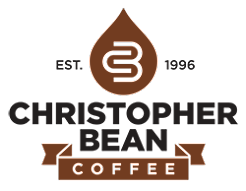 It was exciting to get my first order of coffee literally a couple days after they completed the roasting process. That mail box smelled fantastic! As mentioned, these are a handful of products and gear that have made my riding season more complete. Great companies, great sponsors, and quality products that make me feel great on and off the bike. Maybe you'll find a new favorite among these that I have selected! If you have a recommendation on something I might like, please share!